A man reportedly kicked an elderly lady in an unprovoked assault on a busy Sheffield street. The attack is alleged to have taken place outside Boots on Fargate last Saturday, December 8, at around 10.40am. Police, who say the incident was reported by witnesses, have appealed for the victim to get in touch so officers can check on her welfare. 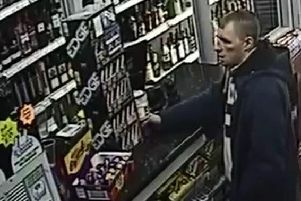 Anyone with information is asked to call police on 101, quoting the crime reference number 14/179784/18.